The Chubby Chap is a great as a gift or for personal use. With it's unique size it will be the topic of conversation every time you use it. Tired of losing your lip balm? With the Chubby Chap it will be near impossible to lose it. All of our Chubby Chaps are petroleum-free and have a wonderfully smooth texture. We have twelve tasty flavors to try. 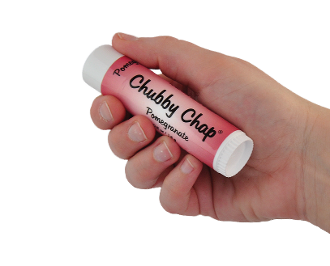 You will love the feel and flavor of your lips after using the Chubby Chap, try one out today!